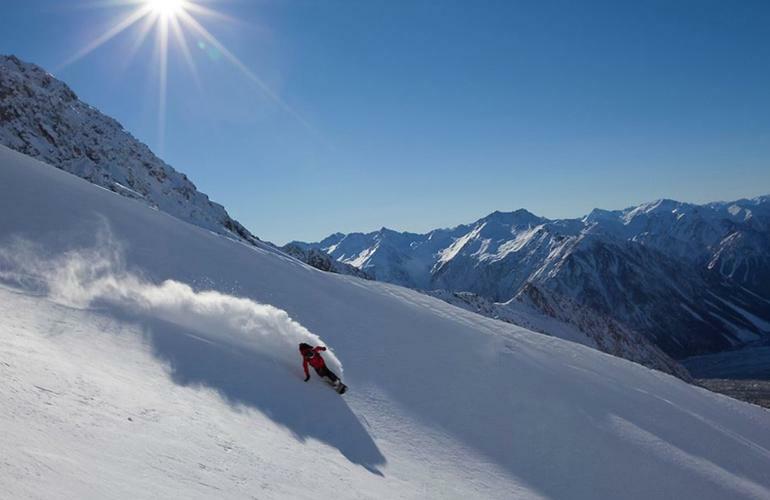 The ultimate backcountry excursion for adventure freeriders tired of taming the slopes or riding average off-piste, this 2-drop heliskiing trip is organised with an expert alpine guide - leading the way through waist-high backcountry descents, powder ridges and forest runs. 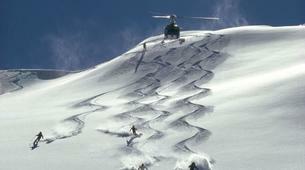 Courmayeur is situated in the Italian Alps and is one of 5 exclusive locations where heliskiing is permitted. Part of the Aosta Valley, it has 8 high-mountain Mont Blanc drop zones with access to more than fifteen descents varying from 1450m to 3800m. Links to Chamonix and Verbier enable skiers to venture further afield, using the Mont Blanc Unlimited lift pass across 3 countries. 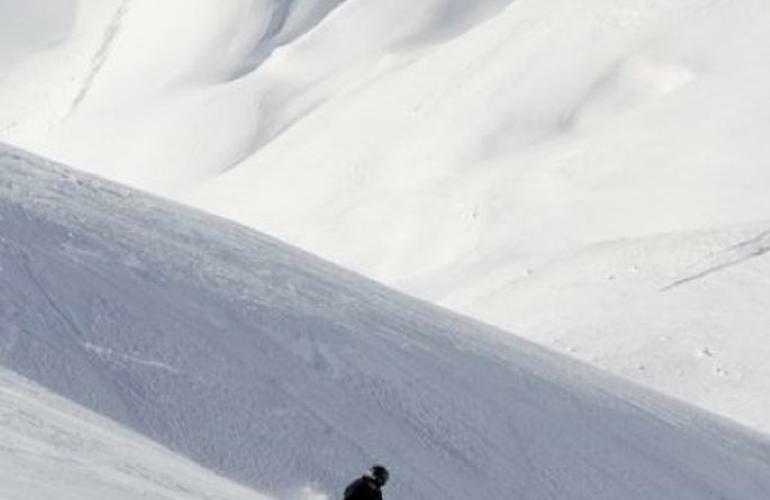 Suitable for intermediate and experienced skiers/snowboarders capable of navigating cross-country terrain, first-timers can ride wide powder fields high on the glacier whilst thrill-seekers can take on steep couloirs and remote big mountain descents. 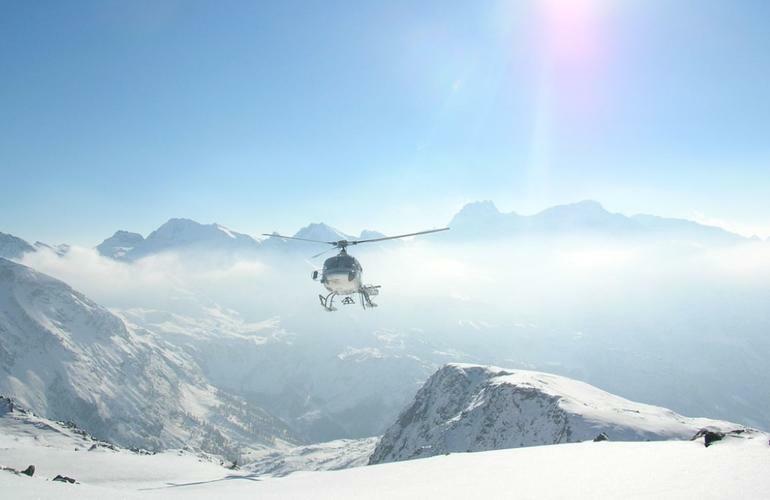 Organised based on ability, your guide will organise an itinerary with two guaranteed heli drops ranging in altitude and difficulty. 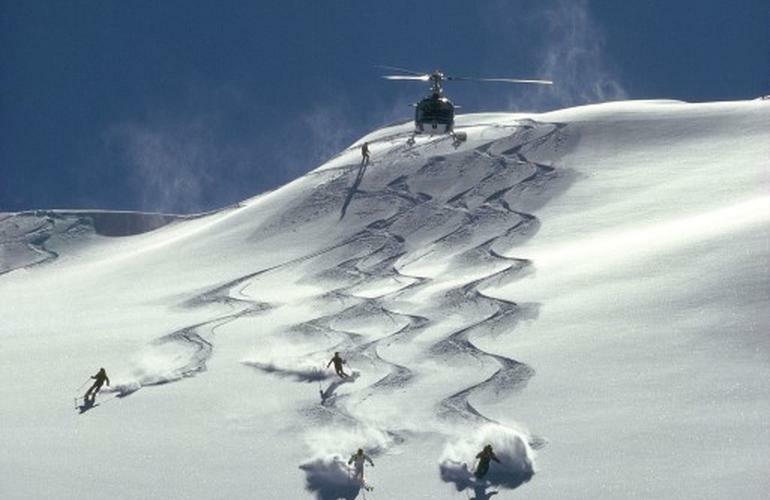 Operating between December and May, all heliskiing itineraries cover unpisted terrain with rocks, cliffs, cornices, avalanches and changing snow conditions factors to acknowledge before booking. 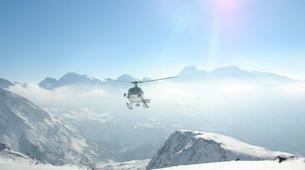 - Departure for Aiguille de l'Aigle, descent about 1500 meters from Combal Lake. Date, duration and itinerary subject to change based on weather conditions. - 2 pax: €890 pp. 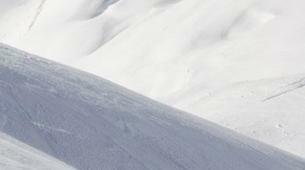 - 3 pax: €593 pp. - 4 pax: €445 pp. - 2 pax: €1.015 pp. 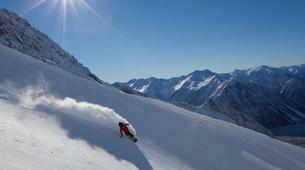 - 3 pax: €677 pp. - 4 pax: €507.5 pp. For bookings after April 7th, ski lifts are closed and bookings carry a surcharge of c. 15% which would be automatically added to your cart.